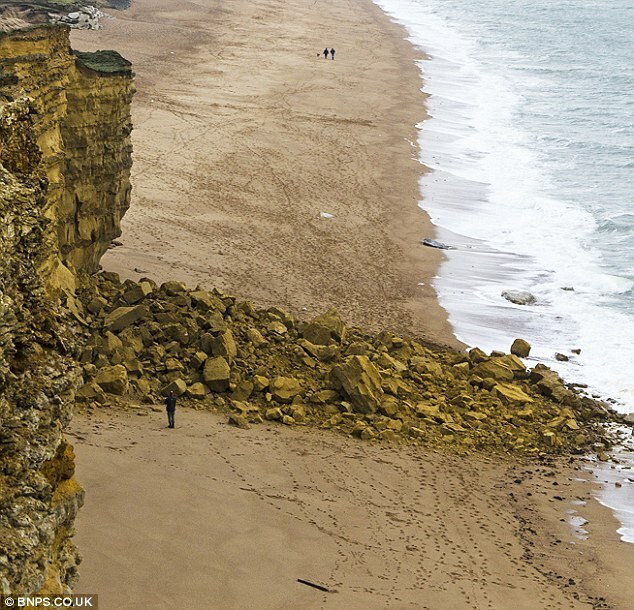 A couple narrowly missed being crushed to death by 300 tonnes of rock came tumbling off a cliff in Dorset, UK, reports Mail Online. Tim Cambridge and partner Tamara Pollard, who is six months pregnant, were just a few feet away when the rocks tumbled down, while they were on holiday. It was only because trainee teacher Tamara paused to pick up a shell on the beach that they didn’t walk under the mass of falling rock.